Our indoor posters are suitable for shops, medical centres, reception areas. They will last for years with no sun or weather exposure. Full colour printing on gloss art. See our list below for various stock weights. If you need posters to last outdoors for months or years, please refer to our vinyl banners. Our poster printing service is fast, professional and reliable. 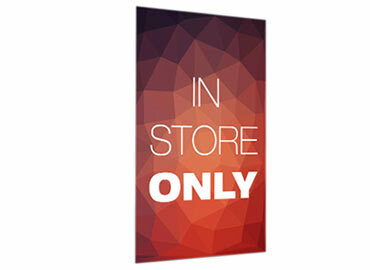 We provide both Indoor Posters and Outdoor Posters. Below are details for our Indoor Poster Printing service. Custom printed posters work well as high impact visual display signs and are great for promoting your business and products. We print posters for all kinds of uses and a large variety of stocks from paper to vinyl. Large format poster printing from A2 (594 x 420mm) to A0 and beyond. Call us for ideas on how we can help to make your poster look great. 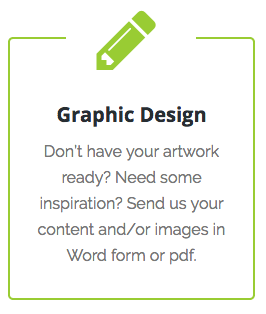 Our designers are standing by to create unique, eye-catching designs. We not only print posters but also distribute them locally and overseas. How quickly do you need your poster printing? We sometimes amaze clients on how quickly we can print and despatch as part of our poster printing service. Printed posters can be despatched from around 4 hours (same day) to 1, 2 or 3 days depending on volume and finishing requirements for the posters. If you are using us for brochure printing, these can be despatched at the same time as posters. Call us on 1300 88 99 59 for red hot urgent printing work and you will be amazed at what Absolute Colour Printing can do for you. Can I have a cheaper price? Absolute Colour Printing is not a cheap printer in terms of quality, turnaround and professional advice about printing. When you have a cheaper price than we offer, consider sending us the quote to see if we can create a package for you that saves you money, time and frustration. Our experience is that clients want peace of mind knowing the printing is in good hand and will be delivered on time. Combine this with extremely fast service, premium quality printing, distribution and supervision of your job, you are in good hands with a company whose reputation in Sydney is second to none. Your order is paramount and your timeline critical. We guarantee the quality and despatch time needed to fill those needs. Our fast digital printing and offset printing service is reliable. We are conscious of our client’s budget and schedule and do our best to add value in every way whether your order is an express, urgent 24 hour turnaround for just 1 poster or thousands of posters within a few days. Wide format poster printing service can be combined with other marketing collateral such as presentation folders, printed flyers and brochures, business cards and marketing cards. Talk to us about what you want to achieve with your poster printing so we can give you best advice on stock, price and print method to achieve best results.